Duncan Emporium Building – Temple Lodge, No.33, Duncan, B.C. The Duncan Emporium Building was built at the north east corner of Station Street and Craig Street circa 1901 for Temple Lodge, No.33 charter member Harry Smith (1859-1942), who used it for his Duncan Emporium, a general store. In 1902, Harry Smith sold the Duncan Emporium business to fellow Temple Lodge, No.33 members Andrew H. Peterson and Thomas Pitt, who ran the business at Pitt & Peterson. Harry Smith also rented space on the second floor of the Duncan Emporium Building to Temple Lodge, No.33 for use a lodge room. Temple Lodge, No.33 conducted its meeting on the second floor of the Duncan Emporium Building until September 1912, when the Duncan Masonic Temple was completed. In 1909 Andrew H. Peterson and Thomas Pitt formed a new company, Cowichan Merchants Ltd., with pioneer Duncan businessman William Penn Jaynes. 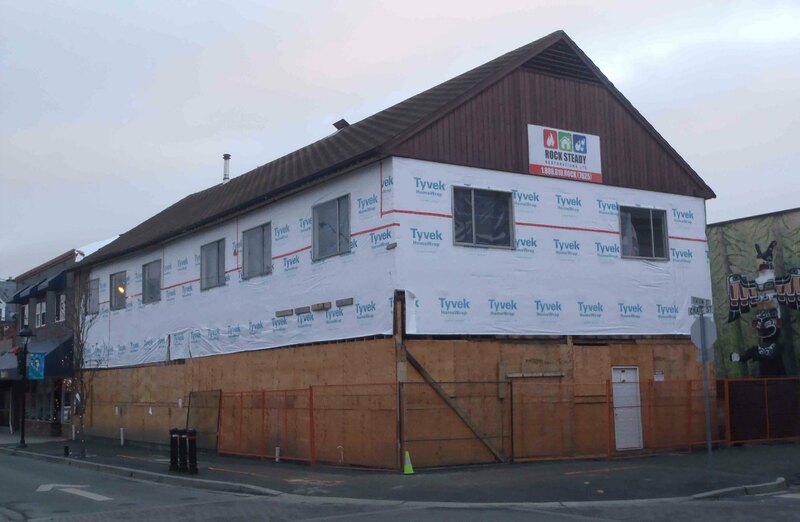 Cowichan Merchants Ltd. built a new building, the Cowichan Merchants Building, on the south east corner of Station Street and Craig Street, directly across Station Street from the Duncan Emporium Building. 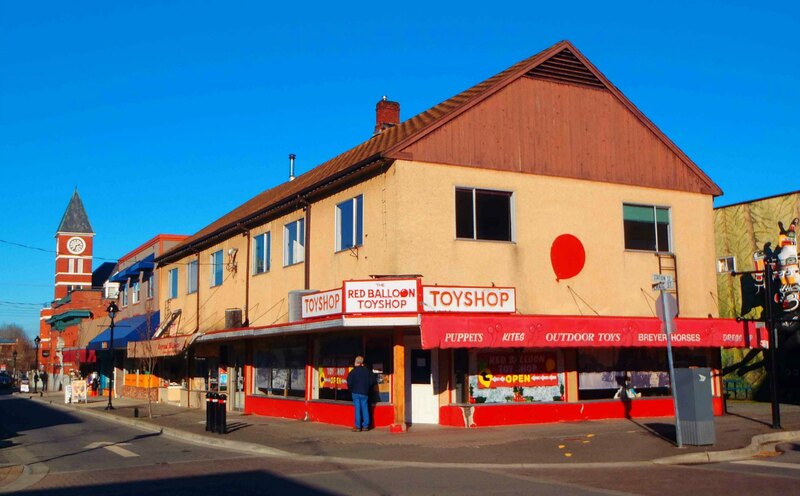 Cowichan Merchants Ltd. became the largest department store in the Cowichan Valley. The Duncan Emporium building remained a prime retail site. It had several other connections to Temple Lodge, No.33 members. Hugh Alexander Patterson, bought the building in 1919 and re-named it the Patterson Block; he sold the building to a G.L. Buckham in 1926. Subsequently, David Halliday, a pharmacist, ran Halliday Drugs in this building for many years. 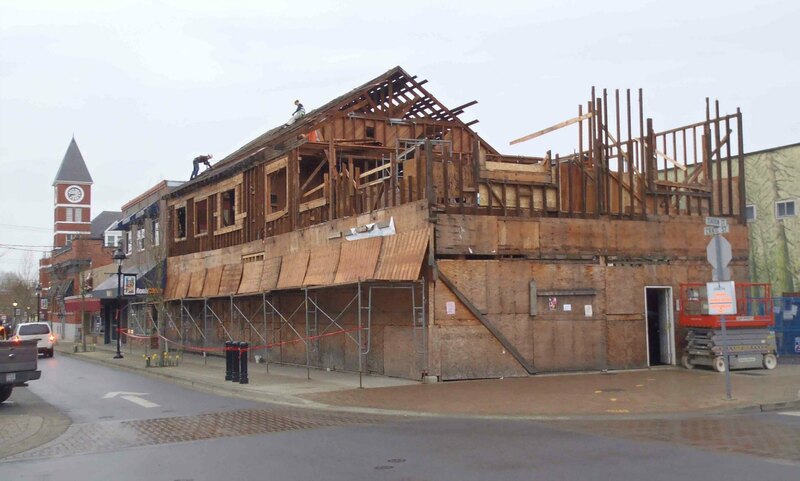 In 2012, a City of Duncan snowplow struck the Duncan Emporium building during snow clearing operations, causing severe damage to the building’s foundation and structural integrity. 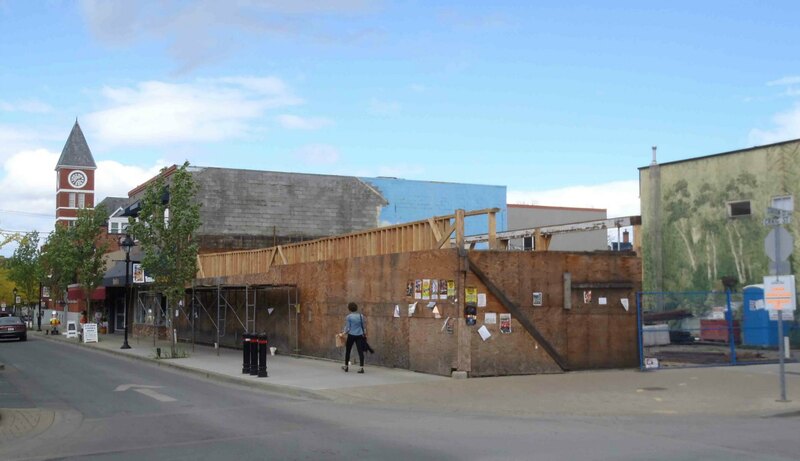 Legal action commenced between the City of Duncan and the owner of the Duncan Emporium Building. 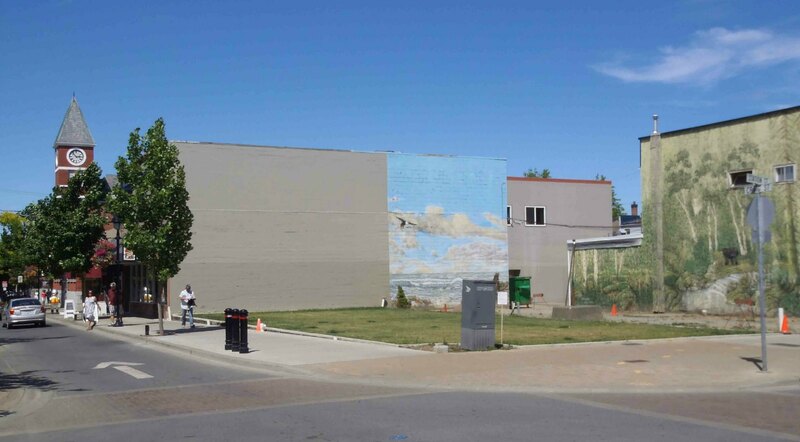 The end result of the legal action was that the Duncan Emporium Building was demolished in the spring of 2015, removing a significant historical building from downtown Duncan. 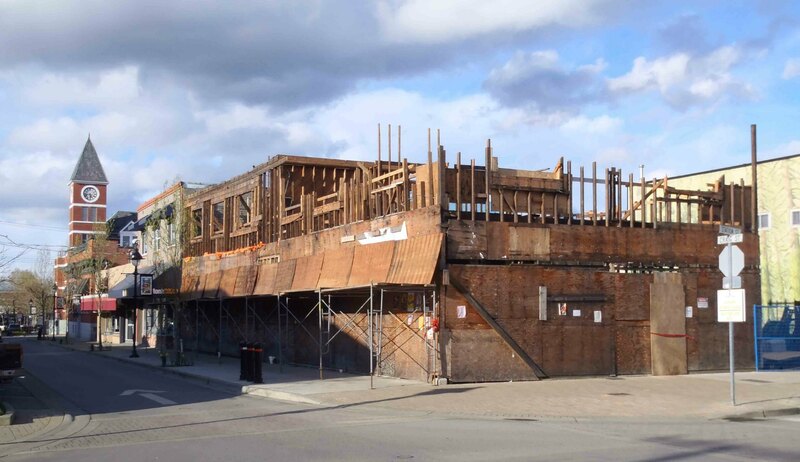 The demolition was slow and deliberate so that the wood from the Duncan Emporium Building could be salvaged. 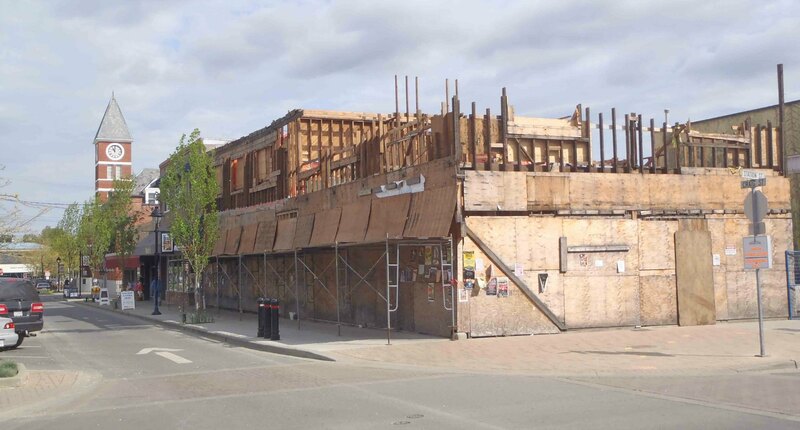 Wood of the quality from which the Duncan Emporium Building was built is typically not available today. Here are some photographs of the Duncan Emporium Building just prior to, and during, demolition. The Duncan Emporium Building, Craig Street at Station Street, in February 2012,. It was demolished in 2015.